A recent short conversation led to someone sending me two articles that they said supported their notion that there is a consensus among scientists that invertebrate animals are not sentient. It is certainly easy to find scientists and philosophers who have this opinion. But there is some reason to wonder whether there is a genuine consensus. ... Consciousness may be a far more rudimentary phenomena than are living creatures and their brains and there appears to be no way of ruling out such a thesis experimentally. If we grant that some animals are conscious and that we should therefore refrain from causing them pain and suffering, are there other animals for which we need have no such scruples because we can be confident that they are unconscious? Sometimes this question is expressed by asking how far down along some assumed gradient of higher to lower animals such ethical concern is appropriate. Biologists bristle at such a question because biological evolution has been a branching tree rather than a linear progression. There is of course an enormous difference in the complexity of animals, and it is reasonable to ask where a line can be drawn between those that do, and those that do not suffer. The difficulty is that we simply do not know, and it is not clear how we can find out in the near future. If we accept communication as evidence of conscious thinking, we must certainly grant consciousness to honeybees. Yet we can scarcely manage to avoid the injury and suffering of all insects, many of which have small but elaborate brains. Recognizing that central nervous systems produce conscious experience, how can we judge how complex a nervous system must be to permit at least a simple perceptual consciousness? An important point here is that we know very little, nothing really, regarding the generation of consciousness. Any claim about which animals are and aren’t sentient is speculation. Aside from whether or not the papers I was sent prove that there is a consensus on this matter, they do provide examples for what is claimed as evidence that some invertebrates are not sentient. One of the papers I received was chapter two, “Localizing Desire,” from philosopher Gary Varner’s book, In Nature's Interests? Interests, Animal Rights, and Environmental Ethics (2002). Much of Varner’s work is available on his webpage. The other was chapter five, “Feelings,” from David DeGrazia’s Taking Animals Seriously: Mental Life and Moral Status (1996). Much of DeGrazia’s work is available on his webpage. 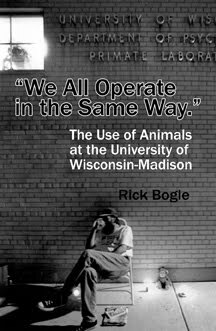 Like the comparative argument about the mental states of nonhuman animals, the comparative argument in defense of the claim that nonhuman animals are capable of feeling pain is an argument by analogy. ... [Functional] analogs of functional nociceptors have yet to be found in fish[*] and herps, but endogenous opioids (opiatelike substances) have been found in all vertebrates and in a variety of invertebrates including insects, planaria, and earthworms. These considerations, taken in isolation, suggest either that no cold-blooded animals feel pain, or that all animals feel pain. When the comparisons are taken as a package, however, the evidence for saying that invertebrates (with the exception of cephalopods) can feel pain is distinctively weaker than that for saying vertebrates (n.b., fish) can feel pain. Because the consciousness of pain is presumed to require a central nervous system it is implausible to say that lower vertebrates like insects whose nervous systems consist of several loosely organized ganglia are conscious of pain. It is worth noting, summarily, that available evidence suggests that consciousness is associated with complex central nervous systems (CNSs). A vertebrate’s CNS consists of a comparatively complex brain and a spinal cord. Lacking spinal cords, octopi, squid, and cuttlefish – the cephalopods – have CNSs of a different sort. For example, much of an octopus’ movement is controlled by nerve cords in the arms, which contain nearly three times as many neurons (nerve cells) as does the brain – a highly diffuse CNS by vertebrate standards! [emphasis in original] In contrast, while some insect behavior is very impressive, insects have very primitive CNSs consisting of a nerve cord, ganglia (bundles of nerve cells found at intervals along the nerve cord), and a “brain” at one end composed of several fused ganglia. The extreme simplicity of their CNSs make it unlikely that insects are conscious. DeGrazia and Varner believe apparently that both Harris and Griffin are wrong when they say that we don’t understand how sentience or consciousness comes about. They seem to believe that it is more or less a matter-of-fact that relatively large complex CNSs are a requirement. From here on out I’m not going to worry too much about which one said what since they both agree for somewhat the same reasons that invertebrates are not sentient. They both cite research that seems to support their position. One of them pointed to an observation that (at least some) grasshoppers may continue eating while being eaten, suggesting perhaps that a grasshopper doesn’t care that he or she is being eaten or that they experience no negative physical sensations. They point to the fact that some insects do not seem to protect a damaged limb. One of them cites a study in which a grasshopper’s leg removed from their body could learn to avoid an electric shock, implying apparently, that learning doesn’t necessarily require a brain. One of them pointed to the phenomena of caterpillars blinded on one side walking around in circles until they die. One of them argues that the awareness of pain is beneficial only if an organism lives long enough for whatever it learned to somehow aid in its survival, and thus, very short-lived species have no need and would gain no benefit from being able to sense pain, thus, insects don’t feel pain. Mind is the subject of much study and speculation. There is ample disagreement about what it is. The subject of non-human minds is necessarily even more speculative. As we try to imagine the subjective experiences of organisms ever farther from us in evolutionary time, the likelihood of doing so accurately quickly diminishes. 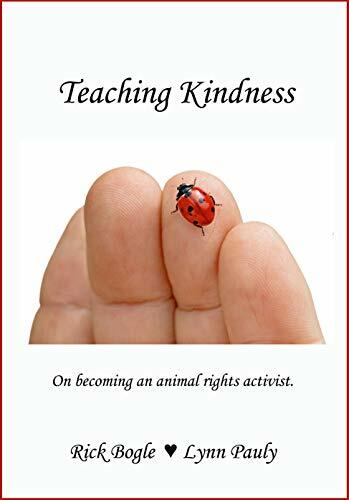 Because our knowledge in this area is so lacking, and because the results of wrongly deciding that some animals are insensate automatons are potentially so very harmful to them, we should constrain our actions and avoid harming any animal that shows even an inkling of willful behavior. As interesting as the grasshopper being eaten phenomena is, it is impossible to say what it means relative to any subjective experience the grasshopper might be having. Any conclusion must remain in the realm of speculation at this point in time. Many insects act as if they are driven by compulsions. The case of the digger wasp (Sphex) has been written about many times. Females of this solitary species seem to have a set program that they must repeat from beginning to end associated with stocking their subterranean burrow with a paralyzed insect that the wasp’s developing larva will feed on. Any disruption of this set program resets it, and the wasp will start over. For instance, when the wasp returns to her burrow, she sets the paralyzed insect next to the entrance and goes inside (to inspect, make sure all is well?) and then comes back out. Normally, she would then drag the paralyzed insect into her vault, lay an egg on it, seal the entrance, and then depart, never to return. But if, while she had gone below to inspect(? ), a stone or twig near the opening is moved, when she comes back out she notices the change and after looking around, goes back down to reinspect. She will do this, apparently, until the researcher moving the stone tires of the game. One common conclusion is that digger wasps are mindless. The wasp’s behavior is pre-programmed; she is simply an automaton, and thus, we need have no scruples about mashing her under our boot. On the other hand, maybe she is compelled to do things just so, knows she is doing them, and just can’t stop. A brief review of case studies of humans with obsessive-compulsive disorder shows that humans will repeat the same behavior repetitively for hours on end, knowing all the time that what they are doing makes no sense, may be harming them, and all the while wishing they could stop. The point here is not that digger wasps might have a mental illness, but merely that repetitive pointless behavior isn’t necessarily evidence that the one being repetitive is doing so mindlessly. The observation that grasshopper legs may be able to learn is an interesting one. It was cited as evidence that moving away from noxious or injurious stimuli might be reflexive rather than willful. There is another and rather bizarre (from a human perspective) alternative interpretation. Both DeGrazia and Varner admit that the behavior of the cephalopods is relatively strong evidence that they are conscious beings. DeGrazia notes that octopi have a diffuse CNS and that nerve cords in their arms control arm movement. According to one source, the nerves in their arms actually process information and can respond independently from the brain. An octopus arm apparently thinks on its own to some degree. Whether there is an actual “seat of consciousness” in an animal with such a diffuse nervous system is unknown. But maybe, in a severed octopus arm or grasshopper leg, there is rudimentary sentience. In other words, maybe the severed grasshopper leg really does have a simple perceptual consciousness that wants to avoid being hurt. This is, as Griffin pointed out, at complete odds with the modern understanding of evolution. One of the authors, as I noted above, claimed that there isn’t a good reason for short-lived animals to be able to learn, and so they don’t need to feel much of anything at all. He was probably thinking of the insects. But there are many long-lived invertebrates. It is impossible to determine the age of individuals from species without mineralized anatomical structures. There may be sea anemones and other such organisms hundreds of years old; some may be much older. Relatedly, there are a multitude of characteristics possessed by many species that have no discernible survival benefit. Genetic mutations induce new characteristics. Deleterious characteristics (those that reduce reproductive fitness) are deselected, while advantageous characteristics (those that increase reproductive fitness) are selected; but many mutations result in characteristics that are neutral. One example is the hair on the back of a human’s fingers. Trying to explain the emergence of any characteristic based on a need or the lack or a characteristic based on a lack of a specific need is the result of a misunderstanding of evolution. 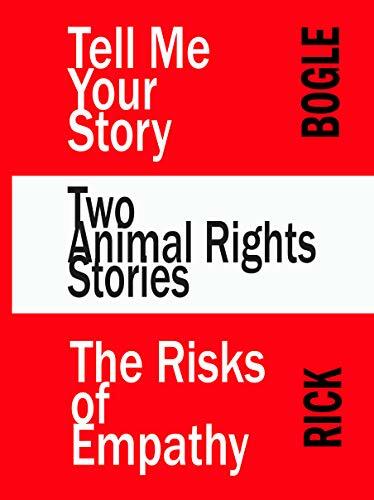 There is a widely held a priori assumption that the experiences of animals don’t matter; this is frequently defended with the extreme claim that they don’t even have experiences. Mostly, the idea of an animal’s subjective experience doesn’t enter into most people’s thoughts. In this sense, humans are mindless automatons. Events that illustrate this well were the initial investigations of the deep-sea hydrothermal vents. In 1977, the deep submersible Alvin visited the Galapagos Rift. An entirely new ecosystem was discovered. Scientists discovered colonies of four to five foot-long organisms they had never seen before or even imagined. Their response was to reach out with Alvin’s mechanical arm and grab some of them to bring to the surface. In other words, without knowing anything at all about these beings other than the fact they were large and unknown to science, the scientists’ first choice was to kill some. This isn’t much different from early Europeans rounding Cape Horn for the first time and shooting the first natives they saw. Those naked dark beings clearly weren’t human, so what did it matter? I take Griffin’s and Harris’s observations to at least suggest that there isn’t a matter-of-fact consensus that invertebrates are insensate. 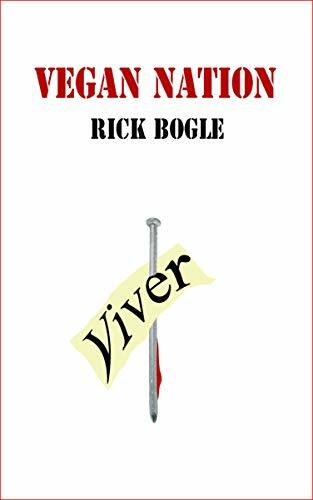 Moreover, an ethical minefield surrounds those who try to intuit the presence or absence of behaviors in animals based on their behaviors under experimental conditions or based on their physiologic similarity or dissimilarity to human physiology. When the observers themselves behave as if they don’t really care one way or the other, or worse, that they would prefer a particular conclusion, we should weigh their conclusions with a hefty dose of skepticism. It seems reasonable to imagine that someone who routinely eats and otherwise consumes animals might have a bias toward interpreting data to mean that their own behavior isn’t actually doing any harm. Finally, I think an unbiased observer watching animals must acknowledge that they often appear to be acting willfully. To me, any being that appears to act willfully must be assumed to be sentient. The more one looks, the more one finds examples of what appear to be willful actions among most members of Anamalia. One interesting case. A behavior apparently not uncommon in ants is “social carrying.” Some ants, like honeybees, recruit others to visit a new food source. Sometimes this recruitment is chemical; ants famously leave pheromone trails. The recruitment appears more personal in other cases. Sometimes an ant will lead another ant back to the food source, essentially showing them the way. In some cases, an ant will physically carry another ant to the new food source. It seems reasonable to wonder whether the ant carrying the other ant to the new food source has the expectation that the recruited ant will join her in carrying food back to the nest. In spite of her ant-sized brain, there seems to be some sense of willful purpose in the recruiter’s behavior. I don’t step on ants. I'm curious what your thoughts are on how we should rank the pain of invertebrates. Animal Rights groups spend very little time e.g. looking for less painful insecticides, which it sounds like you think is a mistake. But how big of a mistake is it? Animal rights groups and activists are as pragmatic as anyone else. They are embedded in the current culture, where ever in the world they happen to be. As a consequence, and reasonably and understandably, they look for areas where they might have success. Right now in the US, harmful experiments on any animal are legal and frequently paid for with tax dollars. Protecting invertebrates is a nonstarter when dogs are allowed to be treated so horribly in labs around the country. I commonly try to help those who I come across who are in serous trouble -- a wasp trapped against a window, an earthworm drying out on the sidewalk, etc. We know next to nothing about consciousness; in regard to how we ought to treat those who conceivably could be sentient, the only moral choice is to treat them with compassion and to act in ways that avoid harming them.